New Pig 18-gauge steel lever drum ring. Replacement parts to help you extend a drum's life and cut replacement costs. 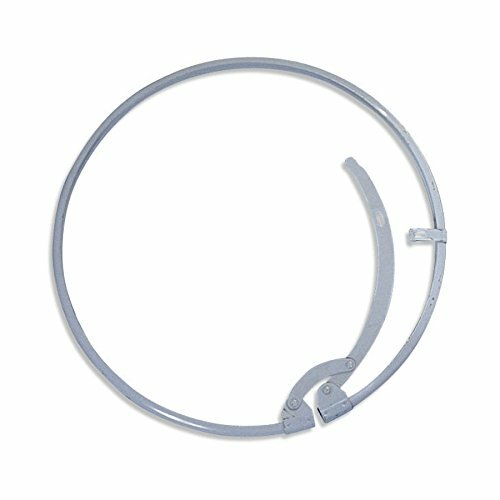 Ring closure helps seal open-head drums and provides convenient access to drum contents. Durable 18-gauge steel construction. Can be used for shipping non-hazardous materials. Can be padlocked with small lock to prevent tampering. Use for 55 gallon open-head drums. PlasticMill 7-10 Gallon, Clear, High Density, 6 Micron, 24X24, 100 Bags/Case, Garbage Bags/Trash Can Liners.